ASIFA-Colorado is proud to announce that our most recent collaborative animation project, the Exquisite Corpse 2015, has been completed. This animated short will make its theatrical debut at the 2015 Denver Animation Festival, presented by our friends at the Emerging Filmmakers Project’s Denver Animated Pixelshow. The Festival is September 20th 6:30PM at the Bug Theater in Denver, 3654 Navajo Street. The Pixelshow folks have been strong supporters of Denver’s animation community and we are proud to have been asked to screen the Exquisite Corpse with them. The Exquisite Corpse was a collaborative project created by members of ASIFA-Colorado. 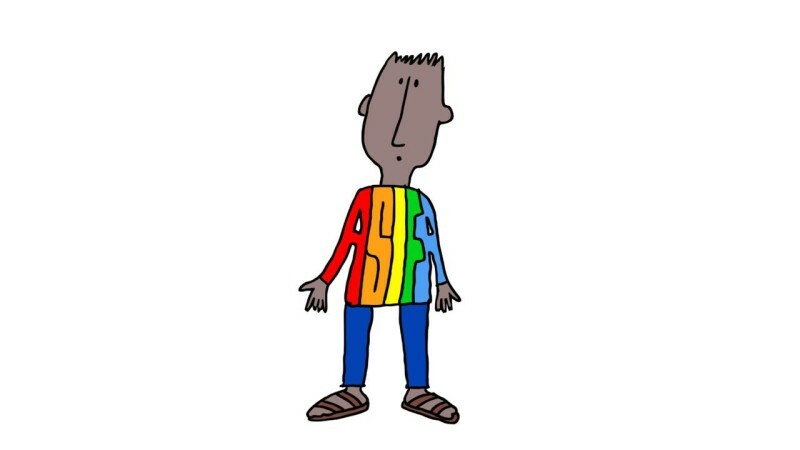 Each participant was given an identical drawing of “ASIFA Man” (created by Evert Brown) and instructed to create a short animation that begins and ends with this drawing. The result is an animated tapestry comprised of multiple media and styles. We invite all of our members to attend the Denver Animation Festival to see the Corpse and lots of other great local independent animation. Tickets can be purchased here. Support Colorado animation! Stay tuned for information on more future screenings of the Exquisite Corpse.